Avast SecureLine is a VPN that you can use when outside of your home; at cafes, hotels or airports. Eavesdropping is a major concern when we talk about the security of home Wi-Fi networks. People around you -- your neighbors in the next apartment, or even your own government -- can discover anything flowing through your Internet traffic. Your personal data, like passwords and log in credentials, your credit card numbers, and your photos and videos, are at risk. We have written a lot about how to protect our communications using a VPN. To summarize, a Virtual Private Network, or VPN, is an encrypted tunnel where your data travels from your computer to a secure server on the Internet. Avast SecureLine is a VPN that you can use when outside of your home; at cafes, hotels, or airports. But now, it’s time to bring your attention to your home network security. Your router should be correctly set to achieve the highest level of protection. Until you secure your router, you’re vulnerable to people accessing information on your computer, using your Internet service for free, and potentially using your network to commit cybercrimes. There are basically three levels of security on a home router. These come in types of encryption. They are WEP, WPA and WPA2. These strange acronyms refer to different wireless encryption protocols which protect – in fact, encrypt – the information you send and receive over a wireless network. WEP (Wired Equivalent Privacy) was the first protocol used in late 90s. It should not be used nowadays as it has serious security weaknesses which are easily hackable by even the most novice hacker. So, the first wise thing to do is move away from WEP. Your router must be quite old if you can’t do that, and you should consider purchasing an updated one, or ordering a new one from your ISP. WPA (WiFi Protected Access) replaced WEP, but very soon after that, WPA2 replaced WPA. WPA2 implements the latest security standards, especially for data encryption with AES (Advanced Encryption Standard), a strong encryption algorithm. Using WPA or, better, the WPA2 protocol, means that when any device tries to establish a connection to your wireless network, it will be prompted to enter the security key or password to connect. Most wireless routers allow you to select WPA2 during the setup process. Unfortunately, the default in many wireless devices is WEP or, even worse - nothing - which means anybody in range can connect to your WiFi to use the bandwidth and access your other devices (printer, network disk, etc.). Avast Home Network Security scans for vulnerabilties. Verify your wireless network router (or other access point) supports WPA2. If necessary, go to your router manufacturer site and search for the latest firmware to be downloaded and applied according to its instructions. Apply compatible WPA2 settings on each WiFi device, choosing the WPA2 encryption and the correct authentication info. Although encrypting your traffic won't protect you from rogues, denial-of-service (DNS) attacks or interference, it will ensure secure wireless communication. Also, change the default password. Make sure the one you use is long and strong, using a mix of numbers, letters and symbols. 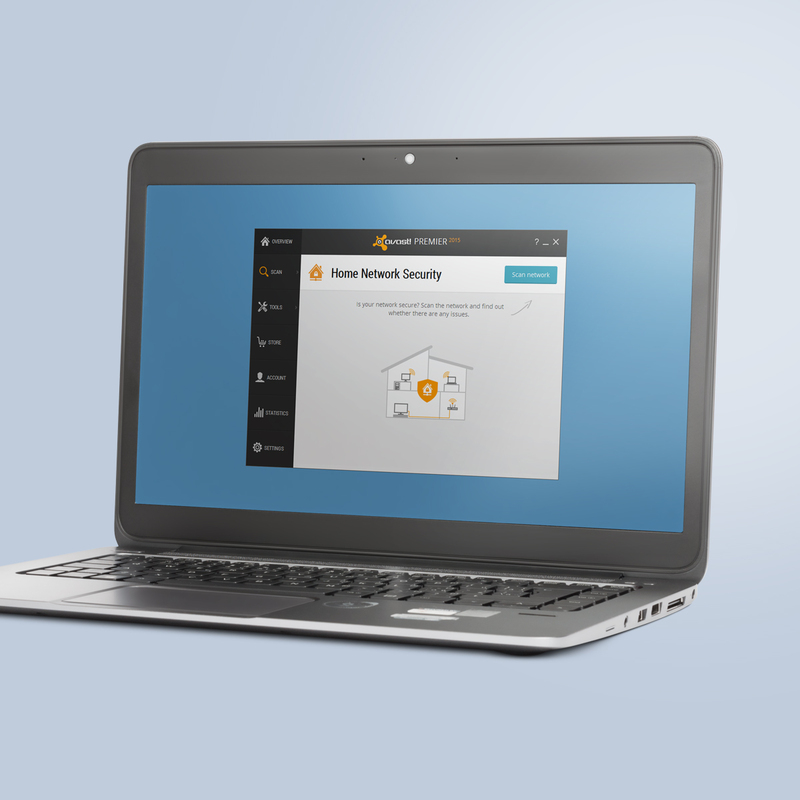 Avast 2015 includes a Home Network Security scanner that can help you determine what needs to be done, explain why, and can direct you to the router manufacturer’s website. Read more about it on our blog, Your home network is at risk of cybersecurity attacks.